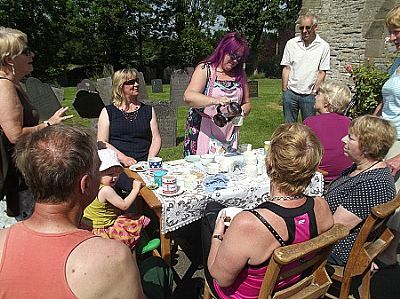 Held in the church and its grounds twice a month between March and December, our Saturday morning market and coffee morning is the perfect place to spend a leisurely hour getting to know and catching up with your neighbours! 10.30-11.30am every other Saturday. See the calendar for specific dates. Bring your own produce to swap or sell, or simply come along to buy fresh & local eggs, honey, veg, fruit & flowers. You will also find cupcakes and handmade cards for sale. Delicious homemade cakes and coffee and tea are also available. To get involved with organising this event, contact Sylvia Hawkins who runs the produce market by emailing us wotwweb@hotmail.co.uk and we'll pass on your details.